Peter Andres was born in 1821, in Irrgang, near Danzig Prussia (today known as Gdansk). Peter’s father, Cornelius, sent young Peter to a boarding school known as Herrnhuter Bruedergemeinde (Graf Zinzendorf) in Silesia. It was here that he received his training that would prepare him for church work. After school, he took up farming and became an elder in the Elbing-Ellerwald Mennonite church. He lived in Mausdorf, near Elbing. He was married and had six children with his first wife, four sons and two daughters. Two of his sons Johannes and Gustav, immigrated to the United States around 1885, and settled near Newton Kansas. His other two sons, Jacob and Cornelius, stayed in Germany. Some of their descendants came to Canada in the 1950s, after the Second World War. The two daughters married Mennonite farmers with the surnames Neufeld and Wiebe in Russia. Peter Andres died in 1882. The material in this collection became known when Gerd Bartel was attending a Mennonite conference in Newton Kansas and met some relatives. Earlier these relatives had discovered the sermons in the attic of Hermann Andres after he died in Kansas. He was a grandson to Peter Andres. 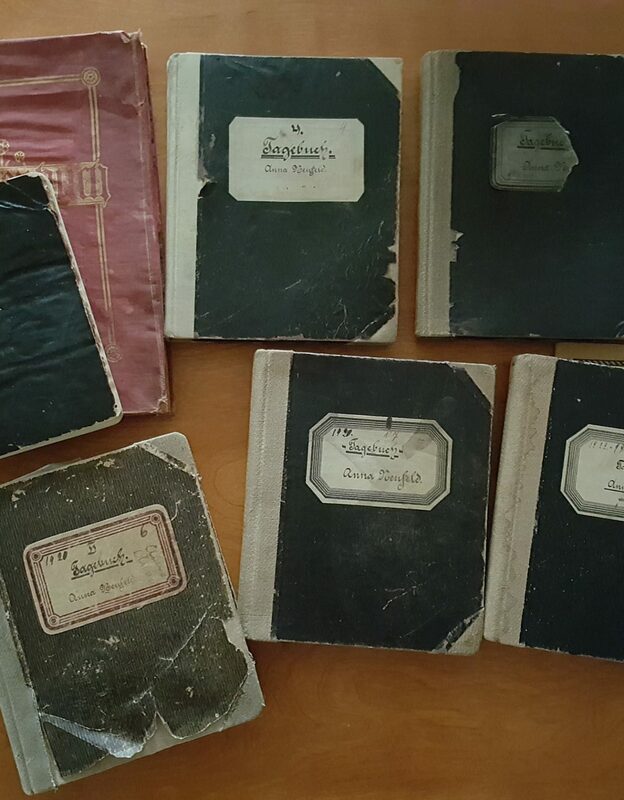 Copies were made and passed on to Eleonore Andres who was able to read them and transcribe them. Later, with the help of Rev. Lawrence Andres, she also translated two of the sermons. Mrs. Andres then offered the sermons to Lorena Marsch, editor of Mennonitische Rundschau, who passed on the information to the archives. The archives contacted Mrs. Andres and in 1996 the sermons arrived. This collection of material contains seven sermons written by Peter Andres and a short history of the family. The sermons have been photocopied and transliterations provided and two sermons have also been translated by Eleonore Andres, whose husband Hans, was a descendant of Peter Andres. Arranged and described by Conrad Stoesz, September 24, 1999. History of the Peter Andres papers. – 1996. Transliteration of “Beschreibung der persoenlichen Bemuehung der 5 Aeltesten bei den hohen und allerhoechsten Staatsmaennern in Berlin um Wiederheraushelfung aus dem Reichewehrgesetz, worin der Reichstag uns Mennoniten am 9. November 1867 versetzt hat. (Bericht von dem Aeltesten Peter Bartel, der Grupper Gemeinde).” By E. Andres. – 1996. Copy and transliteration of “Trinitatis Predigt.” – 1847, [ca. 1996]. Note: Some of the last portions do not seem to be included in the transliteration. Copy and transliteration of “Predigt Gehalten im Advent von Peter Andres.” – 1863, [ca. 1996]. Copy and transliteration of “Predigt Gerhalten zum Michaelisfest.” – 1851, [ca. 1996]. Copy, transliteration, and translation of “Hochzeits Predigt.” – 1846, [ca. 1996]. Copy and transliteration of “Predigt zum Heligen Abendmahl.” – 1850, [ca. 1996]. Copy, transliteration, and translation of “Zum Ostermontag.” – 1854, [ca. 1996].